Andrew Coffin at Big Government wrote an inspiring account of Governor Palin’s visit to the Ronald Reagan Ranch prior to her speaking at his centennial birthday celebration Friday night. He included great pictures of her and her family riding horses, taking in the view, and simply walking in the 40th president’s footsteps. I suppose it’s the scriptural line, “I look to the hills from whence cometh my strength.” I understand it a little better when I’m up here. Anyone who has visited Rancho del Cielo knows there is a remarkable simplicity to the property. It’s the ting [sic] that shocks most visitors now, as it did the world leaders who visited Reagan there. The president lived in a small, 1,800 square foot adobe with no central air or heat. He built much of the Ranch himself, including an impressive stretch of sturdy, telephone-pole fencing that surrounds the home site and pond. Everything about the Ranch reflects the great American, and, particularly, western ideals that Ronald Reagan cherished: hard work, responsibility, stewardship of the land, freedom, and opportunity. Read Coffin’s full article here. 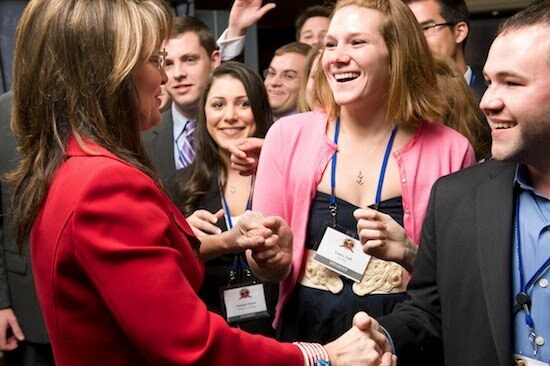 He went on to debunk The New York Times false claims, which I wrote about yesterday, that Governor Palin didn’t mingle with supporters and that she left immediately after her speech. 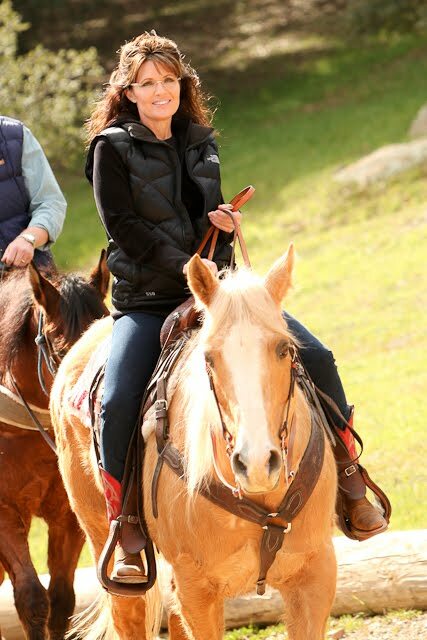 Click here to see pictures of Governor Palin at the ranch. Both the full article and the pictures are definitely worth a look.